The Morsels & Mentorship Luncheon™ will empower you with faith and strategies you can implement daily to help you keep growing in FAITH, LIFE, LOVE and BUSINESS. It's a day of healing, restoration, rejuvenation! Our goal is to help connect you with women who can help you take your life to the next level naturally and spiritually. You will leave motivated and inspired! Small Business in a Weekend™ is a 2.5 day strategic planning retreat for Christian women entrepreneurs. Rachel and other veteran female entrepreneurs work with you to formulate a clear vision for your business and help you develop a strategic plan of action. The Retreat is a way to get in-depth business coaching to help your company move forward. APPLY FOR 2019 COHORT BELOW! The “Idea to Income” Course is a clear, step-by-step road map to help you work smarter and uncover the gifts you already have and start using them to make more money! This course is designed for BEGINNERS in business that have multiple business ideas and need expert advice on how to hone in on the perfect one to grow their impact, influence and income! Here’s a highlight from the ground breaking of the DeSoto Transitional Rehabilitation Center. This project will be a $25mm capital investment that will bring 150+ skilled and livable wage jobs to the city. This state of the art facility will give DeSoto residents the quality healthcare and rehabilitation services they deserve. A lot of work went into bringing this project to fruition. 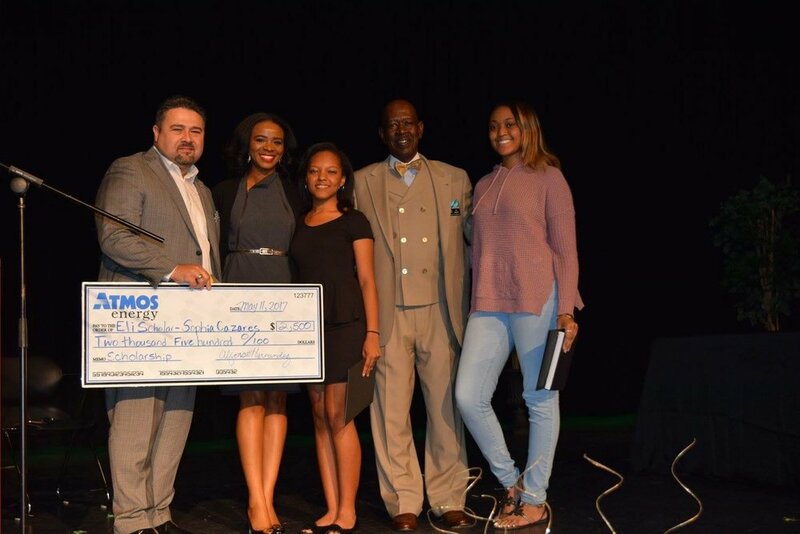 BIG THANKS to the DeSoto Economic Development Corporation, the DeSoto City Managers office, Global Prime, HMG and ALL of our stakeholders for seeing this through. The City of DeSoto welcomed the City of Milwaukee to the Grow DeSoto Market Place to share about our Small Business Incubator concept and what makes it so special to our area and those who have dreams of starting a business! 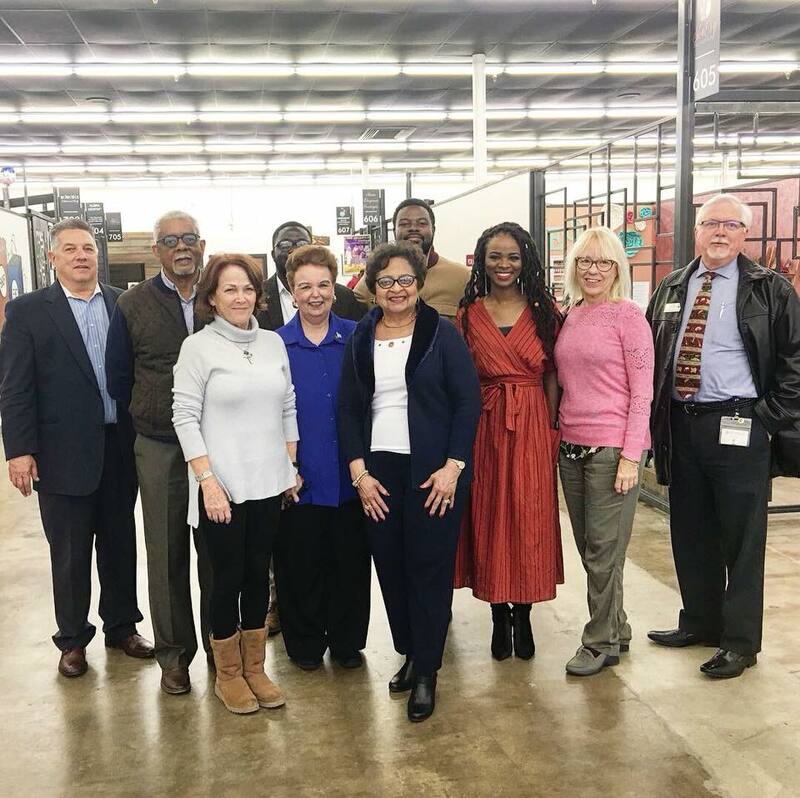 They had a chance to talk with the developer Monte Anderson, City of DeSoto Representatives, DeSoto Economic Development Corporation and the Marketplace tenants about successes, challenges and the future of small business in our region. Rachel engaging in Pre Game interviews with CBS 11 before the December 3, 2016 play off game. The DeSoto Eagles took home the championship that year, defeating Cibolo Steele 38 - 29! 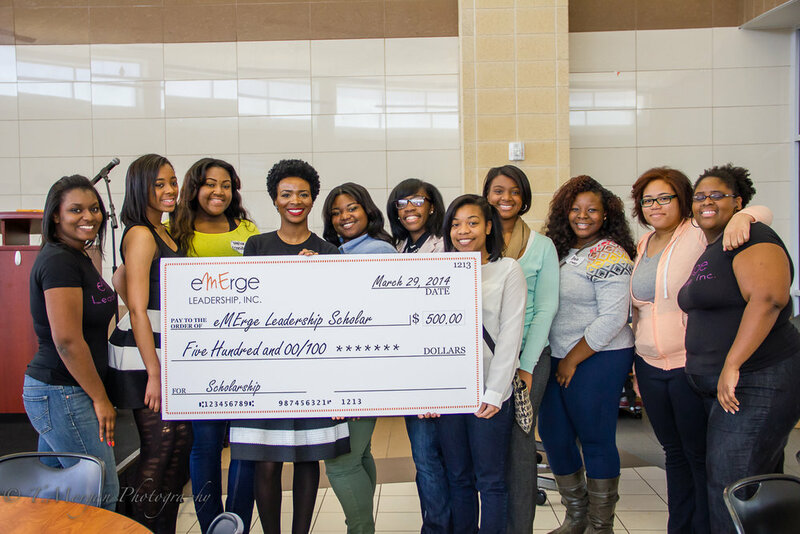 At eMErge™ LIVE! 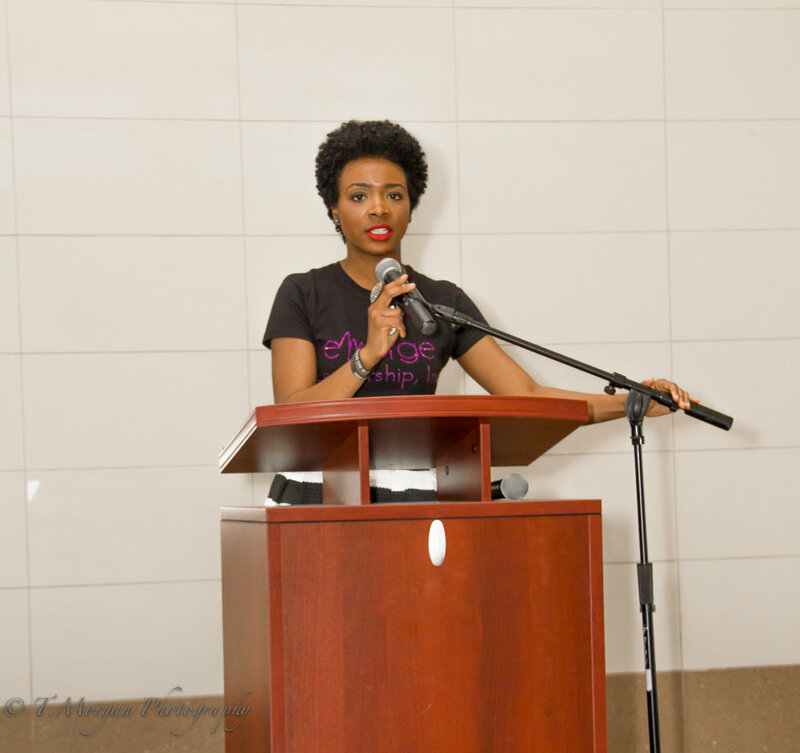 Morsels & Mentorship Luncheon you will be empowered with faith and strategies you can implement daily to help you keep growing in FAITH, LIFE, LOVE and BUSINESS. This will be a day of healing, restoration, rejuvenation! Our goal is to help connect you with women who can help you take your life to the next level naturally and spiritually. Come to the eMErge™ LIVE! Morsels & Mentorship Luncheon and get motivated, get inspired and learn strategies from other women to help catapult you into your purpose! Have you always wanted to start your own business, non-profit or just want to increase your influence for the greater good? Emerge University offers you powerful yet concise courses on business and leadership to give you the boost you need to start something that matters! These courses are perfect for anyone who is ready to turn their passion into PROFIT! Enroll now and get started on your journey to entrepreneurship! What is Small Business in a Weekend™? SBIAW is a 2.5 day weekend small business training intensive for Christian women who are seeking to get their start in entrepreneurship or improve upon their current business. This course will cover topics such as Kingdom business principles, developing your business idea and determining what type of business is right for you and your desired lifestyle, product creation, setting up business systems, time management tips and tools for entrepreneurs, how to make your business profitable, marketing, branding and more! Acceptance into the program requires any interested party to apply and interview with Rachel L. Proctor, creator and instructor for this course. This is done to determine if this training investment is right for you. Hey there! My new Inspirational Smart Phone App is available for download on both iPhone and Android devices! The eMErge® App allows you to receive daily inspiration through devotionals, timeline quote graphics to share on social media AND watch my video replays, listen to the "Ask Rachel" Podcast, submit prayer requests, purchase books and resources in the eMErge® Store, access a Bible and note taking feature with over 40 different translations, and you gain access to all my FREE downloads and MORE all in one convenient app! Pictured Here: 2014 ELI Scholarship Recipients, ELI Boards Members (on ends) & ELI Founder Rachel Proctor (in center).